As a handful of demonstrators challenged him, Trudeau asked for permission to continue and answer people’s questions. “I know you have a voice. I’ve just heard it,” he said. Most in the crowd applauded strongly when Trudeau asked the Water Protectors to let him speak. There were questions about poor housing conditions on reserves, boil-water advisories and high rates of kids in the child welfare system. Winnipeg is home to Canada’s largest urban aboriginal population. Trudeau admitted his government has much more work to do. “I have talked about the fact that Canada has failed … in a fundamental relationship that we were supposed to get right,” he said. 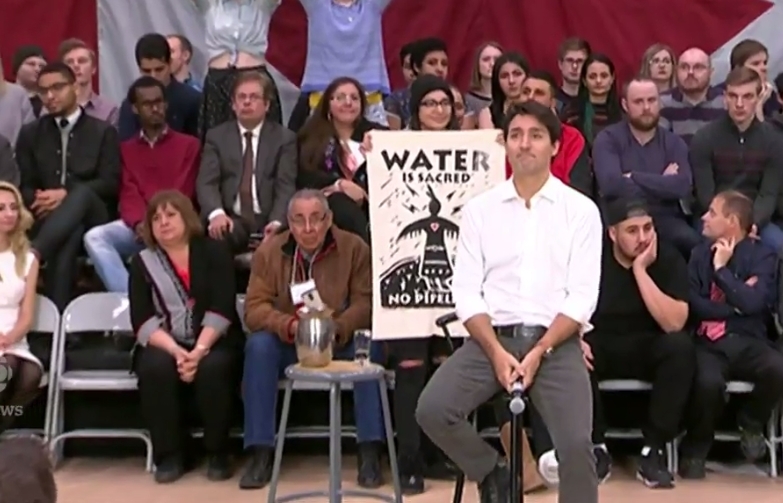 Earlier in the day, Trudeau was greeted by Water Protectors shouting “Water is life” as he walked through the University of Regina to meet students. Trudeau replied that he agreed and continued to make his way down a long corridor packed with students trying to squeeze in a selfie with him. 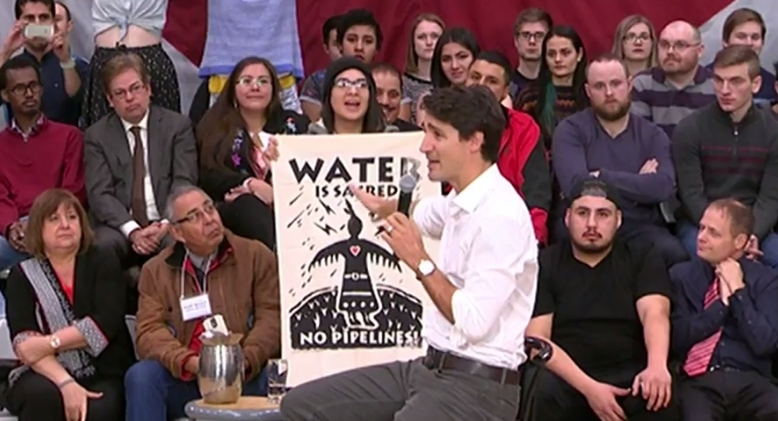 Responses to "Tense moment between Canadian Prime Minister Trudeau and Water Protector"